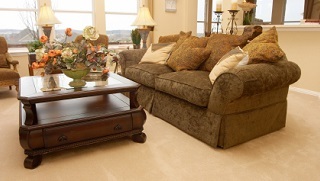 We’ll treat you, your home and its furnishings with care and respect. We make it a point to be on time so you aren’t waiting around. We undergo training for certification and our equipment is state-of-the-art. We review with you what you can expect and what we can guarantee. If we can’t guarantee a result we let you know in advance. 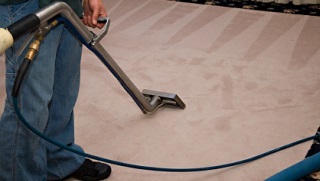 Elite Cleaning offers professional carpet cleaning services to homeowners, businesses, professional offices and institutions in the Upper Valley~Lake Sunapee region of NH and VT.
Elite Cleaning offers upholstery cleaning services to discriminating homeowners and professionals in the Upper Valley. We are specialists in cleaning fine fabrics including those with silk and wool yarns, and satin. velvet and jacquard weaves. Elite Cleaning cleans tiled floors for homeowners, businesses and institutions in the Upper Valley. 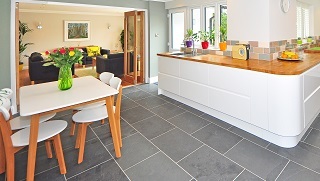 CUSTOMER REVIEWS We ask our clients for feedback when the job is complete. Thank You very much for your professional and excellent service! It is a pleasure doing business with you. Far too often services delivered by others are far below what they advertise. Elite Cleaning walks your talk! Performance surpassed expectation! In the 6 years I have lived in the Upper Valley, your company is by far the best I have encountered in terms of performance and customer service. I never hesitate to recommend your service. Thank You! Other companies in the UV could learn from you. Our carpet was very dirty. Since it’s a light color, the dirt was obvious. Our own steam cleaner cleaned it well but nothing like the cleaning the professional steamer did. We had stairs done also and they look very good. We’d definately use Elite again.